Just maybe this could get bipartisan support. This is both a huge public works project to stimulate the economy and a tremendously amount of money spent to build a new weapon. There’s something for both Democrats and Republicans here. One problem: According a recent study it would cost $852,000,000,000,000,000 — or 13,000 times the world’s GDP — just to produce the steel required to build the weapon. The response from the Obama administration is quite obvious during the current negotiations regarding the fiscal cliff. 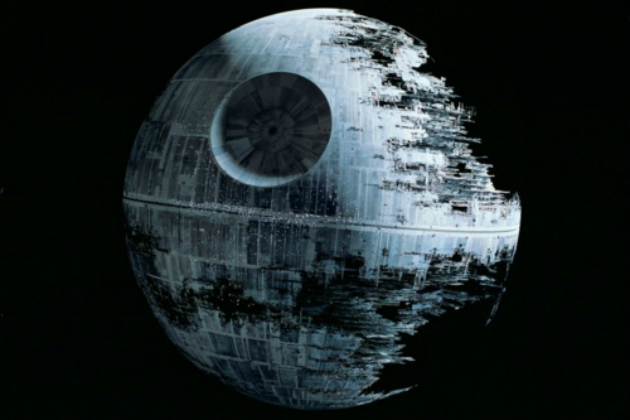 Obama should propose 1) eliminating the Bush tax cuts on income over $250,000 and 2) reject building the Death Star in order to greatly reduce government spending from what it might potentially be. Cutting potential spending by this magnitude would eliminate the need to consider more objectionable cuts such as increasing the eligibility age for Medicare. Republicans have been demanding identification of spending cuts from Obama while they have failed to identify cuts. This is exactly the spending cut which Obama should offer to Republicans, and let them counter with specific proposals for cuts if they do not accept this offer.